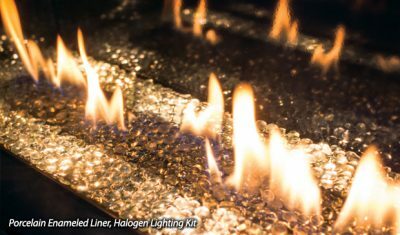 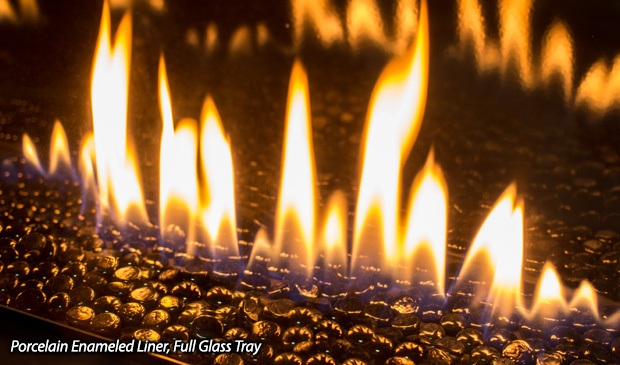 Choose from a full tray of black crushed glass, glass bezel, or clear crushed glass with halogen lighting kit. 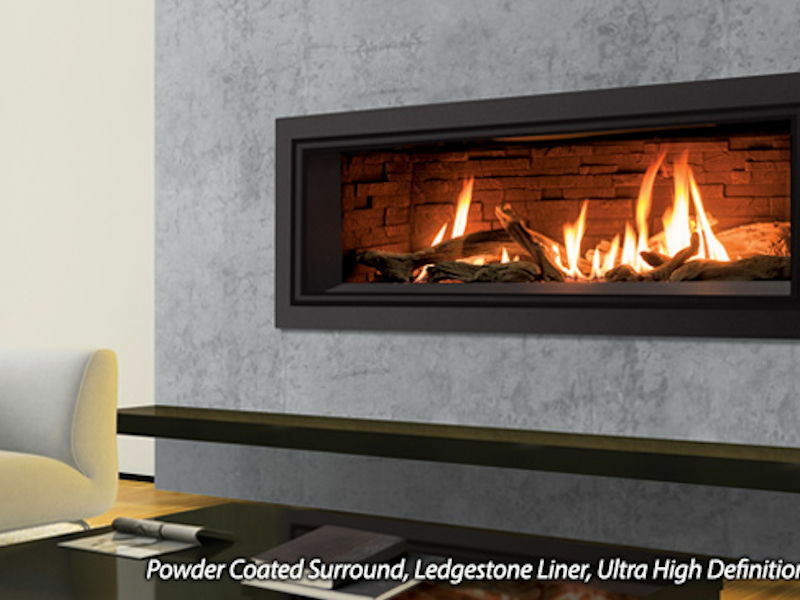 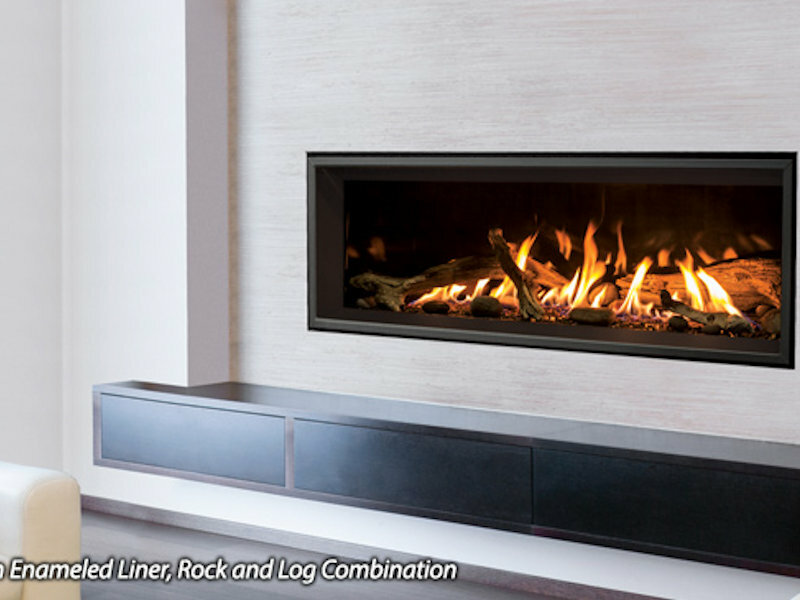 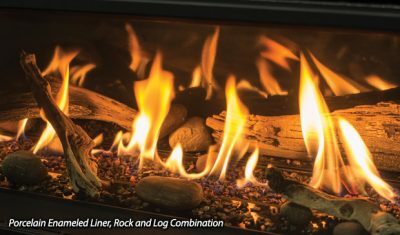 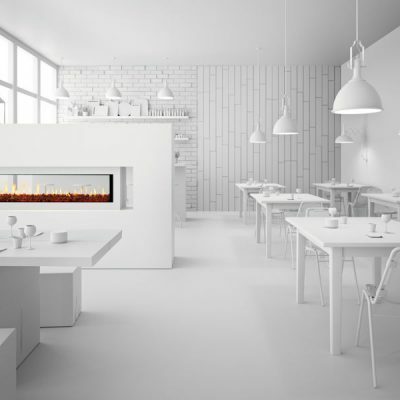 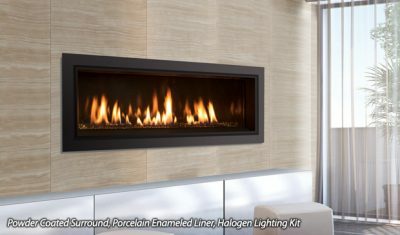 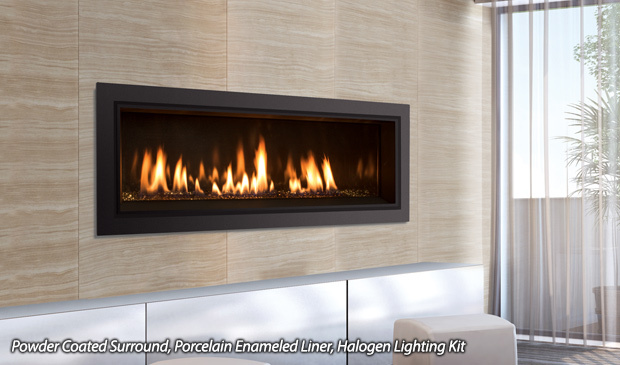 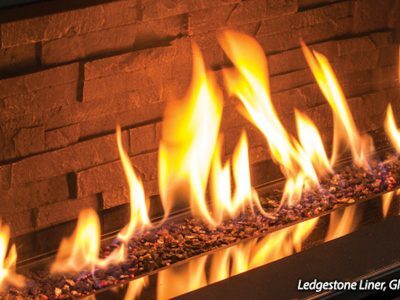 Available in several burner configurations, the Enviro C44 Linear Gas Fireplace can be dressed to suit any decor. 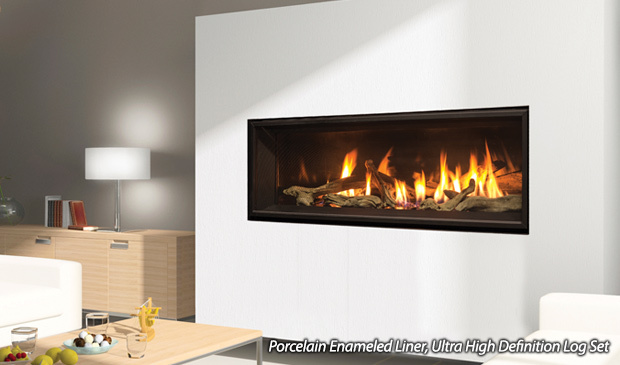 in many cases, a TV will be mounted over the fireplace. 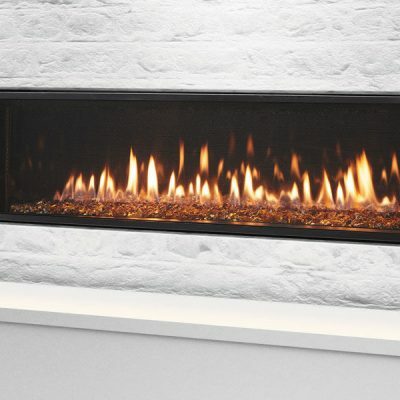 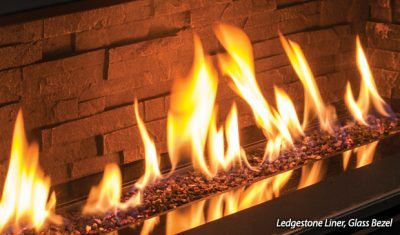 In the past, wall mounted televisions or treasured decor pieces would degrade over time from the excess rising heat produced by your gas fireplace. Our new Cool Surface System for the C Series allows you to make use of the valuable real estate directly above your linear gas fireplace. 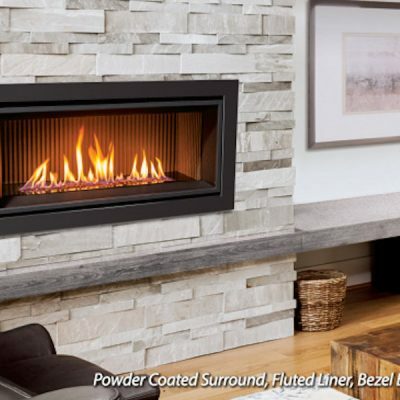 It can channel heat inside the wall and vent it out above the fireplace.